A fireplace hearth has been part of the home for hundreds of thousands of years. Usually made from cement or brick, the purpose of the hearth is to guard your home against embers and logs that roll out, or from sparks. It’s also a place to put your fireplace tools, and an area to stack wood that is waiting to be burned in the fireplace. Meanwhile, gas log fireplaces do not require a hearth for safety, yet many of them still have one. 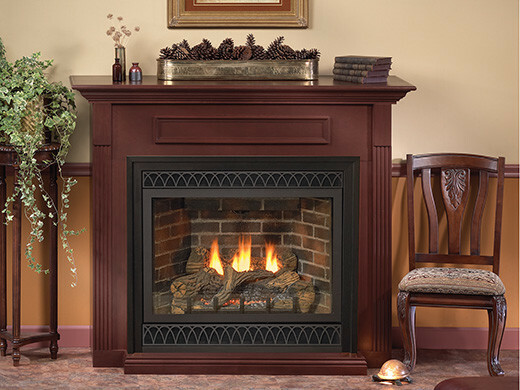 It gives your gas log fireplace the look and feel of a real fireplace, without the mess and fuss of having to deal with ashes and soot. Many hearths are made from brick, cement, marble and granite. But these days, other materials are also used. Glass fiber reinforced concrete and Micore board are new materials used.